I've been busy performing, and hence, ye olde blog posts have been few and far between, but guess what? Rave RAVE reviews on my celtic trios! Thank you for the wonderful trio (Flutzalad Celtic Suite No. 1) ! We played it this morning in our group and we all really loved it. It was unanimously given a 10/10. It was fun to play, not too difficult, a lovely arrangement and very “flutey”. We'll be ordering all the other Celtic Trios soon! Just wanted to let you know that our trio is loving YOUR trios! We are planning to perform your new Baker Intermezzo arrangement for a Canada Music Week concert at the V. Conservatory. Thank you very much for sharing your work! My test group is greatly enjoying your Carol & Celtic trio arrangements! The arrangements are interesting for all of the parts and sound much more difficult than you have actually written them. The retired music professor who conducts us loves the Handel Aria! I teach and organize flute stuff in P___. Upcoming is our annual Holiday Showcase, for which our picturesque town closes the streets around the historic courthouse and 80+ businesses host a great variety of musical performances on a cold Friday night. This will be my fifteenth year of organizing three levels of Fluties, and your music will be the core of what the intermediate group will play this year. Thanks so much for all of your work on these arrangements! 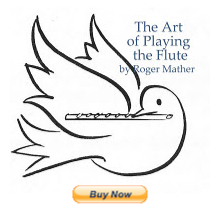 I've looked at many, many flute ensemble arrangements over the years and believe that the beauty and simplicity of yours will ensure their long-term value for eclectic flute groups like ours. We spent half our rehearsal yesterday on your trios - you are so right, they rock! What a talent you are, Jen. We didn't get to the Handel yet, but will next week. So, my next question is, what else do you have? If you have a mailing list, by all means, add me to it. I adore your 'stuff'! If you have the inclination or time, it would be helpful to our group if you could suggest some works that are 'must have'. We've spent a couple years building up a repertoire, but don't often run across works that 'rock'. Jen,Our compliments on your Christmas flute trios which I purchased Saturday. The arrangements are beautiful with all three players getting some interesting parts to play. We performed them last night at a seniors’ centre and they were very well received. My friend is going to look at your website for some of your other trios. Happy Holidays and thank you! N.
Jen, we love the trios I bought from you. Playing them at a restaurant next Friday night. Do you have any more for sale? We love the celtic stuff! They are so beautiful and just the difficulty level we are looking for. Anything else you can recommend would be greatly appreciated. For future events, of course! You've got a great gift for arranging. Wish I was so talented! B.T. Thought I'd let you know that Fantasia has moved to our performance-ready repertoire. We plan to perform it as part of a short set of informal opening/seating music for a big concert in two weeks. Before that, though, we will include it as part of our musical program this coming week at an assisted living centre. I know that the seniors will really like Fantasia and our entire selection of Irish flute music. For now, we are staying with your suggestion of 3 c flutes. Yes, I did think they rocked myself, ha ha ha!! But readers, do please hear for yourself, if you haven't already! And the beauty is that my celtic trios are sight-readable by intermediates and advanced player, and yet not too hard for a more novice group to work up. I'll add a list of great rockin' tunes for trio here (below), and then I'll put up some more of my own arrangements for sale. Thanks so much all you Celtic rockers out there! This is a slow building soundscape like no other! FABULOUS!! We LOVED performing it. The layers of sound go across the trio as each flutist echoes the last fragment. Stunning, riveting. This lively trio consists of three contrasting movements, and is one of the best of the flute trio literature; spunky and exotic, it is rhythmically captivating. Lazlo Zempleni is a Hungarian composer born in 1922. This four movement work of three traditional tunes (with the addition of the Gary Schocker piece as second mvmt. ), depicts an exotic tale of travel and intrigue. We have particularly enjoyed spicing it up by adding Gary Schocker’s very interestingly titled piece as the second movement. Three Little Maids from School - Sullivan Great humourous encore. The Water is Wide by Steve Tung - soothing, lovely, moving. Soaring by Jennifer Grady - uplifting, refreshing, poetical. Carillon from L'Arlesienne by Bizet - exciting, thrilling, like millions of bells (which is what "Carillon" means.) Arranged by Smim. Also, for flute duo, there's my Wedding Duet book, including Pachelbel's Canon, The Flower Song from Lakme, and other great gigging tunes for wedding ceremonies check the blog post on that. If you subscribe to this blog(at top right) you'll be the first to know when new works for trio/duo are ready to be ordered. Thanks so much for the kind reviews. Oh, that's great! You really did awesome work..